EU environmental ministers were unanimous in their opposition to the European Commission’s decision to withdraw the pending Circular Economy package, as part of the executive’s drive for “better regulation”. Commission First Vice-President Frans Timmermans yesterday announced the package, which includes rules on waste, recycling, incineration, and landfill, would be dropped from the executive’s 2015 work programme. Timmermans told MEPs in Strasbourg that the Circular Economy package would be re-tabled with a “more ambitious” legislative proposal in 2015. But he gave no further details on how that would be achieved. 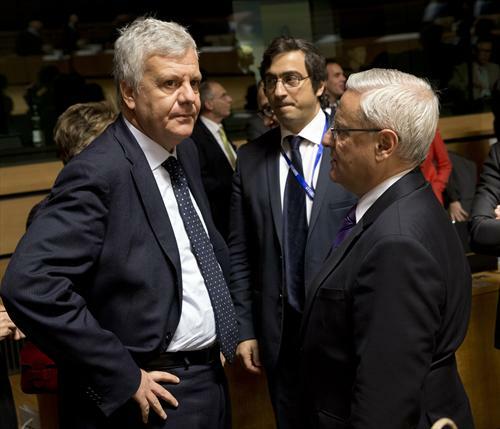 Italy’s Environment Minister Gian Luca Galletti said the move sent a “negative signal” about Europe’s commitment to climate change. It was also at odds with the EU’s push for growth, he said. The Italian minister has just returned to Brussels from UN talks in Lima, which at the weekend made modest progress towards a new global deal on climate change, meant to be reached in Paris at the end of 2015. He said the withdrawal of the draft law on waste in particular “would be contrary to what we did in Lima”. “It would certainly not help the road to Paris,” he told reporters at a press conference. “You can’t say on one hand that Europe wants to conclude the negotiations in Paris, and on the other hand saw we are going to withdraw the package,” he added. EU diplomats had added the issue on the agenda of the Environment Council meeting, held today in Brussels, after the work programme was leaked. 11 environment ministers have written to the Commission voicing their concern, including Germany as well as Italy, which has spent much of its six months at the helm working on the waste package. Environment Commissioner Karmenu Vella said the Circular Economy made a lot of environmental and economic sense. “That is why we want to be more ambitious,” he said. Vellu denied the move was designed to weaken the proposals. That accusation was made after EURACTIV exclusively revealed that trade association BusinessEurope had sent a kill list of environmental laws it wanted ditched to the Commission. The new proposal would focus not just on waste, but also the creation and development of new business opportunities in green growth and green technologies. BusinessEurope had asked for the Circular Economy package to be withdrawn and re-tabled as an economic piece of legislation”. Vella conceded that the Parliament and Council were opposed to the ditching of the package and it was now up to Commission to win them around. Both institutions will be consulted before a final decision is made. The anti-air pollution Air Quality package, in particular rules setting national emissions ceilings for member states, is to be modified by the Commission, in order to make agreement between the Parliament and the Council on the bill more likely. Changes would also bring it in line with the EU 2030 Climate and Energy targets agreed by EU leaders in October. Those changes would be made during the normal course of the bill’s progress through Parliament and governments in the Council of Ministers, he said. Britain, nervous over the rise of Euroscepticism, was a lone voice in support of the Commission’s work plan. David Lidington, Britain’s Europe minister, issued a statement saying he welcomed the aim to scrap “a number of costly and unnecessary draft laws” and it would help business. It was put together by the Barroso Commission, which said it would create €600 billion net savings, two million jobs and deliver 1% GDP growth. Musn’t ditch the circular economy until everyone of the politicians have had their snouts in the trough.